All photos are thumbnails. You may click on the photo to enlarge it. DG0090: A huge cutting machine undercutting a seam of coal. Basically, the cutter is cutting a groove in the wall of coal next to the floor. Once the groove is finished, deep holes will be drilled in several locations higher up the wall. The holes will be filled with explosives. When the explosives are set off, the coal will collapse downward because of the groove cut into the bottom of the coal seam. 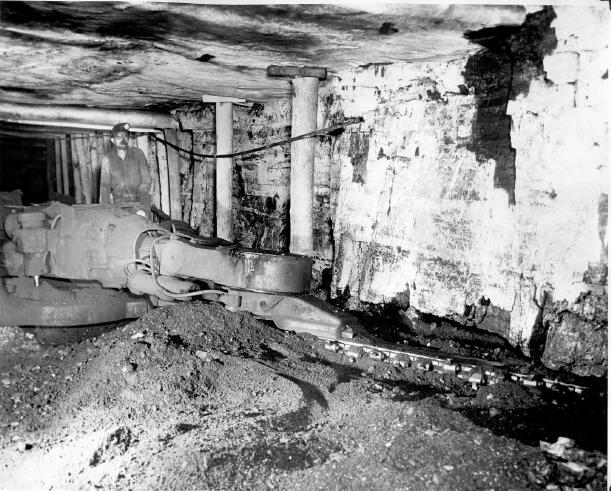 Once the coal is loose, it can be loaded into mine cars and moved up the cage to the surface. Photo compliments of the David Goad Collection. DG0092: A loading machine. This machine is gathering up the loose coal and moving it into a nearby railcar (not shown). Photo compliments of the David Goad Collection. DGmantrip: Mantrip motor taking supplies to one of the sections of the mine. Photo compliments of the David Goad Collection. 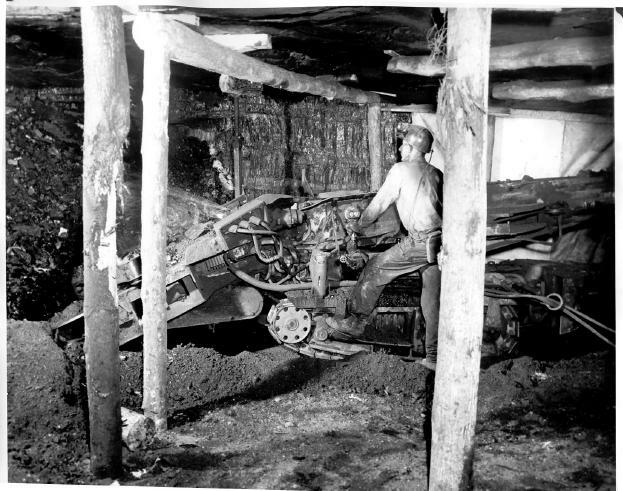 Homer Hickam, Sr. at work in the mine. 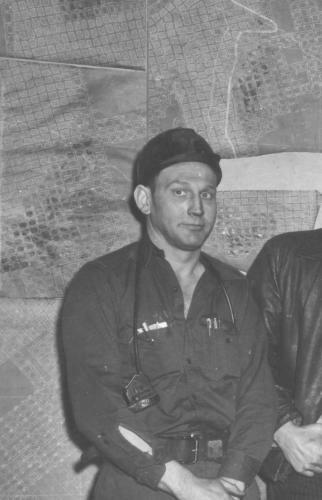 Photo compliments of the Homer Hickam, Jr. collection.